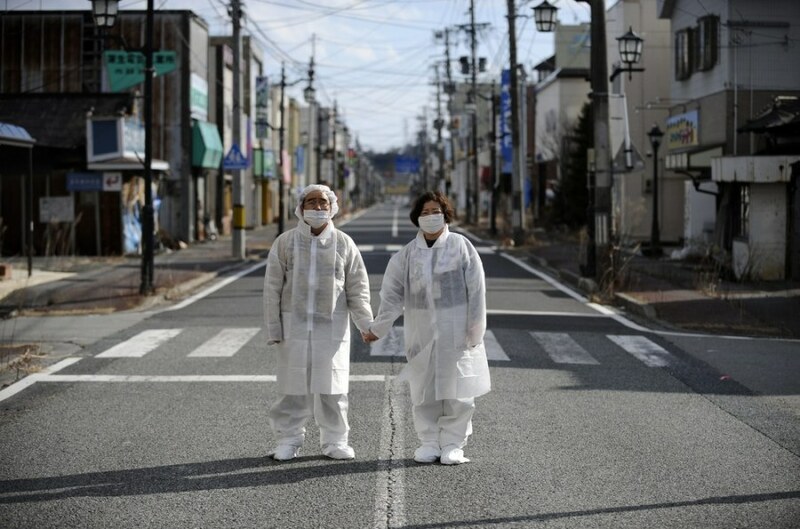 Wearing white protective masks and suits, Yuzo Mihara, left, and his wife Yuko pose for photographs on a deserted street in the town of Namie, Fukushima prefecture, Japan, on Feb. 22, 2013. 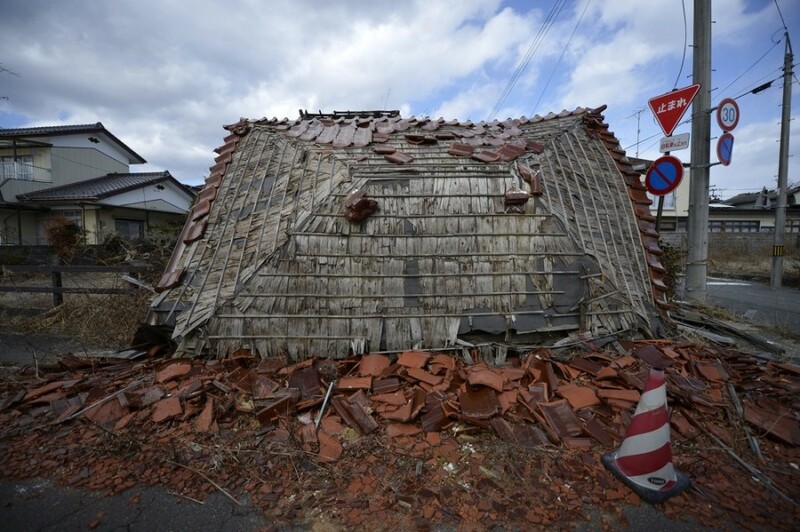 A single house remains standing in an area wiped out by the tsunami near Ukedo port in the town of Namie. Until two years ago, Yuzo Mihara and his wife Yuko lived quietly in the Japanese town of Namie. Yuzo ran a store and Yuko a beauty salon. But their lives were upended on March 11, 2011, when an earthquake and tsunami crippled the nearby Fukushima Daiichi nuclear power plant. Yuzo and Yuko are now among over 100,000 Japanese 'nuclear refugees', having had to abandon their home when the town was evacuated due to the nuclear alert. European PressPhoto Agency photographer Franck Robichon followed the couple as they made a brief visit to their old home last month. They were able to collect a few belongings and clean the house, which had been invaded by mice. Yuko Mihara enters her house, where the floor is littered with books and furniture. 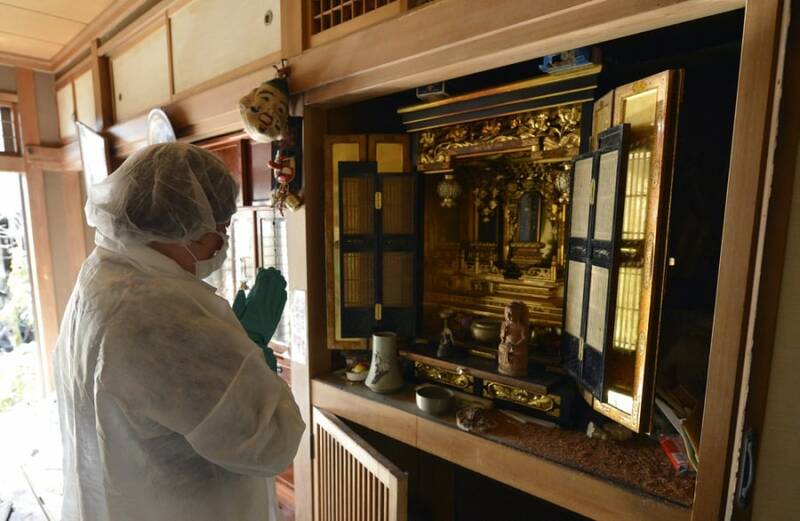 Yuko Mihara offers prayers to her ancestors in front of a family Buddhist altar inside her house. 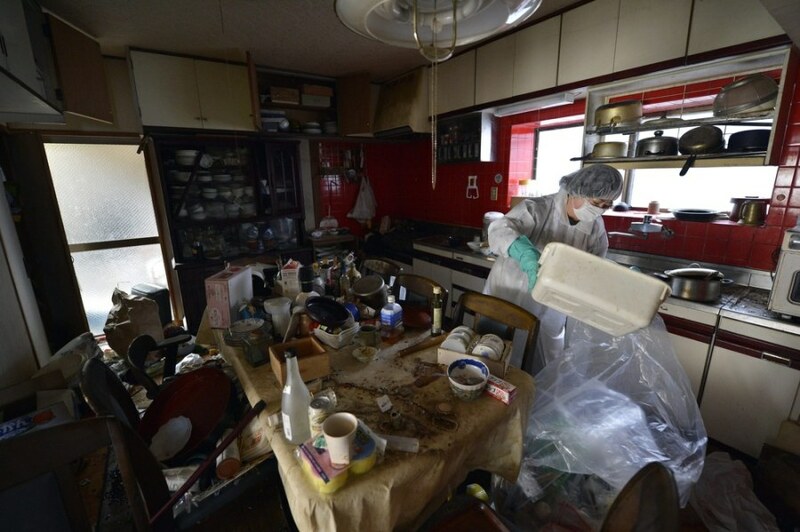 Yuko Mihara cleans her kitchen, which is covered with debris and putrefied food. 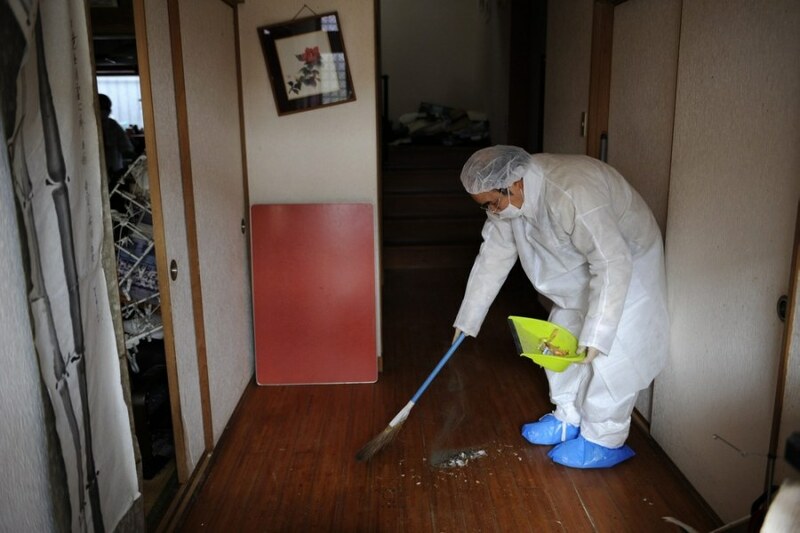 Yuzo Mihara cleans the couple's house, which has been invaded by mice. 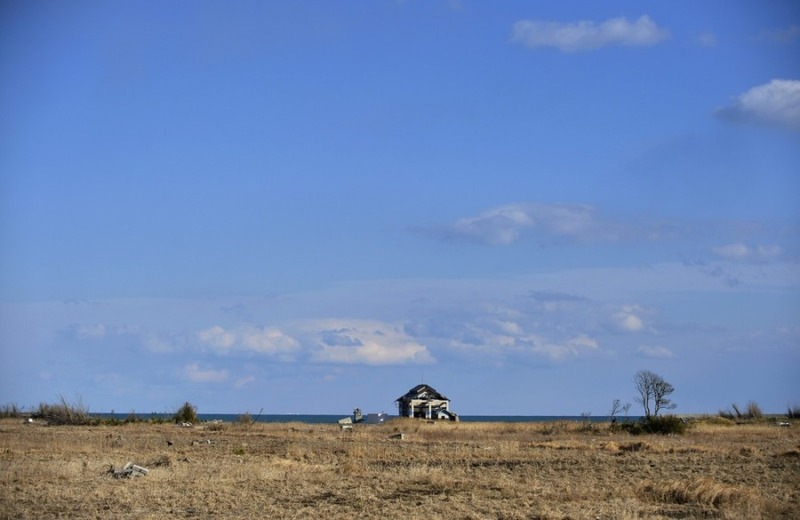 Located within the 20-kilometer exclusion zone, Namie saw its coastal area wiped out by the tsunami and its inland zone contaminated by radiation. Most of the town's 21,000 former residents still hope to make a permanent move back in the future, but for now they are only allowed to return for a few hours to minimize their exposure to radiation. 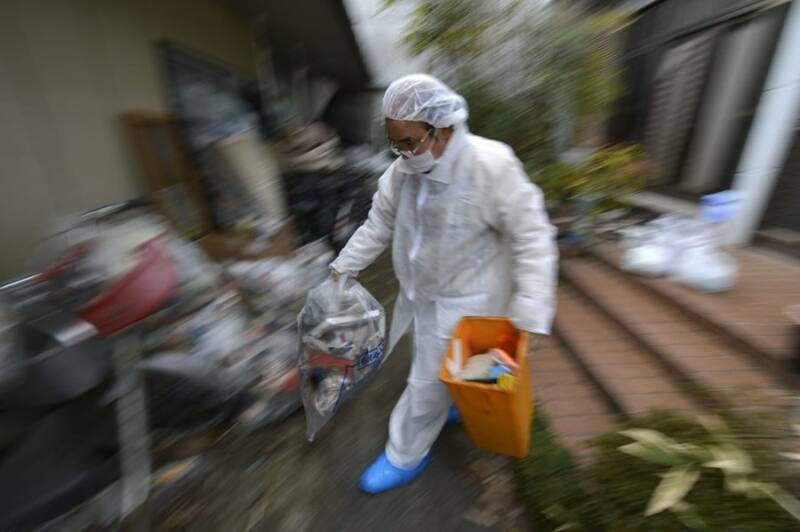 Wearing white protective masks and suits, former Namie residents have to drive through Okuma and Futaba, towns where the radiation levels are so high that a future return is inconceivable. 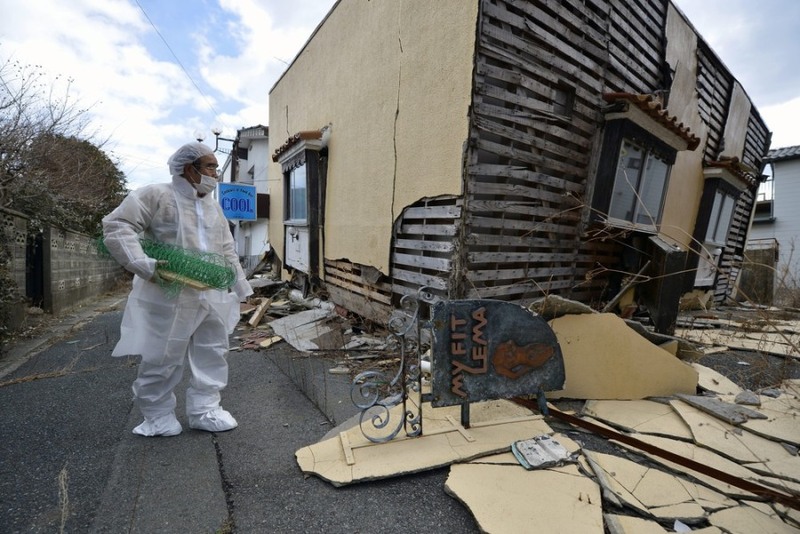 Most of the former residents of the exclusion zone are still waiting for proper compensation to be negotiated with the government and TEPCO, the operator of the Fukushima plant. Two years have passed since the disaster and frustration is gaining ground in the community. Cloistered in cramped temporary accommodation, the evacuees face an uncertain future. The stigma of being seen as 'assisted persons' by the wider community only adds to their despair. 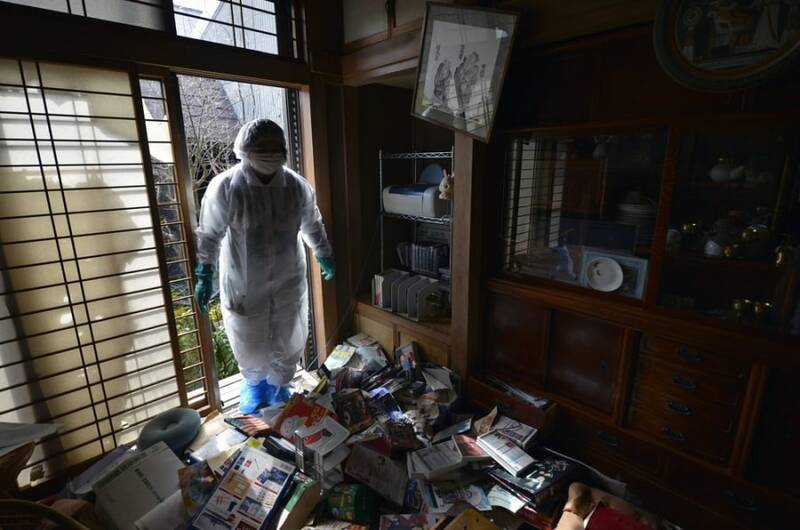 Yuzo Mihara carries garbage out of his house. Yuzo Mihara looks at a collapsed house in his neighborhood. A destroyed house in the abandoned town of Namie.